“Another Place” is an incredible album. The songs are thoughtful, catchy, beautiful and emotive, and well-produced. There is a special chemistry about Rog & Glenn. Their music comes to you fully formed, already great. 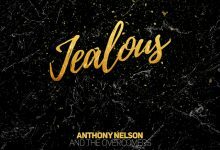 Like a legendary band from the past that you’ve never actually listened to and then finally get a chance to give your full attention and say, “this is why people love this band.” You’ll hear melodies you should have heard before but haven’t yet. Both Hubbard and Brandon have great, melodic voices; and they write patient, thoughtful, direct lyrics. They also have a lot of charisma and passion that gains even more attention for this duo’s music. “Another Place” is Rog & Glenn’s third album after Close the Club (2012) and Martians (2013). They also did a 2014 holiday release with the Collaborateurs called Put it on the Sleigh. Album credits for “Another Place” show Glenn Hubbard, a multi-instrumentalist, playing keyboards, bass, guitars, and auxiliary percussion. Roger Brandon also plays keyboards and auxiliary percussion, and the two both contribute vocals, while Drummer Jeremy Cayton returns for another project with Brandon and Hubbard, having played on their two previous Rog & Glenn releases. I won’t be the one to say that Rog & Glenn are the last band to not be overtaken by indie cynicism and shallowness, because there are lots of bands out there who still believe that what they are doing has a higher meaning, but few have the skill and raw power that Rog & Glenn do. Their songs are thoughtful, catchy, beautiful and emotive, and extremely well-produced. 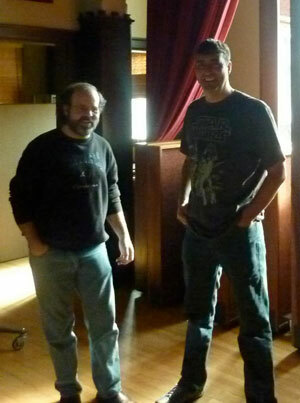 Moreover, the beauty of Rog & Glenn is their ability to evoke a landscape, musically. “Another Place” is flawless on so many levels; absolutely beautiful songwriting, amazing lyrics, incredible vocals. The musicianship is outstanding, the guitars, the drums, the keyboards, the melodic riffs, the composition. I could swear these guys discovered the secret formula of songwriting from the 70s and named the album correctly, or rather, exactly to where they were planning to take this formula…another place! The production is uniformly excellent and embellishes the tracks without becoming the main event. These are eleven strong songs and would be even without any added studio magic. But, at the same time, the production cannot be ignored. The interplay of guitars, the types of guitar sounds, the use of reverb, vocal layering, a judicious use of electronic sounds, etc., are all so right. It’s as if everyone involved picked the perfect instrument or sound and placed it in the perfect place. Rog & Glenn innovates just the right amount on this progressive-rock infused album to create their most beautiful and poppy recording yet, without comprising any of their intrinsic values. I could break each song down and tell you about the playing, the arranging or even the singing, but one listen to the pick of the bunch for me: “Eliminate”, “Another Place”, “The Wizard of What”, “Concentric Circles” and “Three Years Ago” will confirm how this band sounds exceptionally tight and professional, and how their music flows with a naturally sincere warmth that reminds you why it all matters. 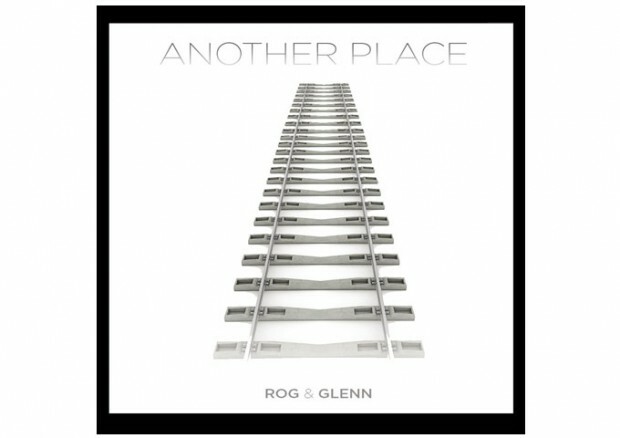 With this in mind, I’m here to tell you that “Another Place” is not only Rog & Glenn’s best album, and that it will surely hold the top spot on many ‘Best of the Year’ indie lists, but that its eleven songs are so insanely good, so packed with pleasurable hooks and grooves, so smart, so delicious, so intricately designed and performed, that it will, I predict, eventually achieve the rank of an indie classic!